Actor Peter Dinklage, who plays Tyrion Lannister in the fantasy HBO drama 'Game of Thrones', has started to grow up, it has been reported. The one-time data processing clerk was born with achondroplasia, a common form of dwarfism, and, until as late as last Tuesday afternoon, stood just 4 feet 4 inches (132 cm) tall on his tiptoes. That evening, Peter had some of his pals over, and they became severely intoxicated. He slept - and looked - like a baby. When the star awoke on Wednesday morning, however, he felt 'somehow different'. Dinklage couldn't quite put his finger on it at the time, but later, when he was looking in his bathroom mirror, he realized that he had a bit of an unfamiliar view of things - he was a little taller! 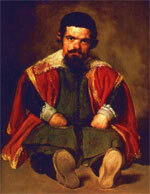 By Thursday, Dinklage found that his trousers were a little short for him, and his shoes were tight, especially around the toe area. A shirt that had fit him perfectly, was now short in the arms, and his watch was no longer as snug. He felt ambivalent about his Lego. He was growing up! By the weekend, Mr Dinklage was already thinking about buying a new bed. He had already thrown most of his clothes into a black binbag which was now waiting to be offloaded at the local thrift shop. On Sunday morning, he took great pleasure in raising his bicycle seat, then removing the stabilizers. A frantic phone caller from the US Olympic committee told him that, if this carried on, he'd be facing expulsion from the US Dwarf-Tossing squad. As Sunday wore on, and he began to take in what this all meant, Dinklage became more thoughtful: how was he going to explain this 'good news' to David Benioff and D. B. Weiss, and the guys at HBO? Was it the end for the Lannisters, or at least, for Tyrion? Was he about to lose his job? Was he going to be poor again? Was this what 'growing up' meant? Just then, Dinklage felt someone kiss his cheek. He opened an eye, and saw his mom smiling lovingly at her 'dinky' son. He knew then that it had all been a nasty, bad dream - he wasn't growing up, after all; his clothes still fit him; House Lannister was safe; he was still filthy rich! "C'mon, honey!" said his mom. "You gotta go to work! That nice Mr Weiss rang from the office - there's a lotta data needs processing!"